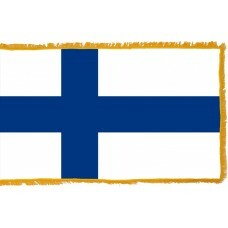 The Finland Flag features a white field with a blue Nordic cross on it. The cross is symbolic of Christianity, the blue color represents the lakes of the country, and the white represents the snow in the winter. This design was adopted on May 29th, 2018, after Finland gained independence from Russia. 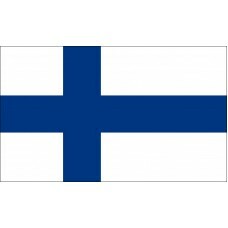 The Finland flag is also referred to as "siniristilippu" which translates as the blue cross flag. 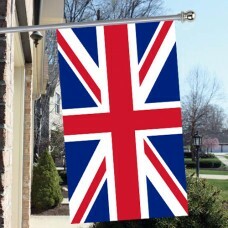 The flag was designed during a competition following their independence. It was a choice between the blue and white colors or red and yellow colors (like the coat of arms). Finland is a country that has been ruled by different countries until their independence. For hundreds of years, Sweden ruled Finland and it was part of the "Kingdom of Sweden." During this period, there were two revolutions with Russia and Russia did occupy Finland from 1714-1721 (this period is referred to as the Great Wrath), and once again from 1742-1743 (referred to as the Lesser Wrath). On March 29th, 1809, Russia invaded and gained control and Finland became part of the autonomous Grand Duchy in the Russian Empire until it gained independence in 1917, following the second Russian revolution. When Russia first took over, it was beneficial to the Finnish as they were trying to develop the country but as the years progressed the country was being affected in a negative way and they were attempting to gain independence from the 1820's. Finland is a Scandinavian country located in Europe and shares borders with Sweden, Norway, Russia, and Estonia. The natives refer to their country as "Suomi." The capital city is called Helsinki. Finland is the most forested country in Europe and is renowned for its abundance of lakes, which has earned the country the nickname, the "Land of the Thousand Lakes." The economy in Finland is largely based on agriculture (foresting), but in recent years tourism is becoming more important to the economy. One of the most popular attractions is the Santa Claus Village which is located in the Lapland region of Finland, in Rovaniemi. At this village, people can visit the Santa Claus Post Office and Santa Claus office where children can meet him, and you are able to see the white painted lines that mark the Arctic Circle. Another popular attraction is the fortress of Sveaborg which is a Swedish Castle located on the island of Suomenlinna, part of the capital Helsinki. The castle was built during the 18th Century to prevent the Russians from entering. The Market Square in Helsinki (also known as Kauppatori) is very popular amongst tourists and considered to be the best outdoor market in Europe. The Korkeasaari Zoo (the oldest zoo in the world), located in Helsinki is another main attraction and is renowned for its breeding programs for endangered species, such as snow leopards and Siberian tigers. There are many historic places to visit in Finland, as well as amusement parks, zoos, cultural trips, etc. 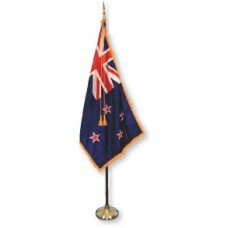 which is why it is proving to be a popular country to visit.